Azerbaijanis throughout the world mark Solidarity Day on December 31. Unity and solidarity of all Azerbaijanis throughout the world, respect for the national and spiritual values as well as feeling a sense of belonging to their historical homeland are the main ideas behind this national holiday. The Solidarity Day was initiated by Azerbaijan's late national leader, former President Heydar Aliyev on December 16, 1993. In accordance with a presidential decree, the last day of December is annually celebrated as a day of Azerbaijanism unity. Around 50-million Azerbaijanis across the globe celebrate this holiday as a symbol of unity. 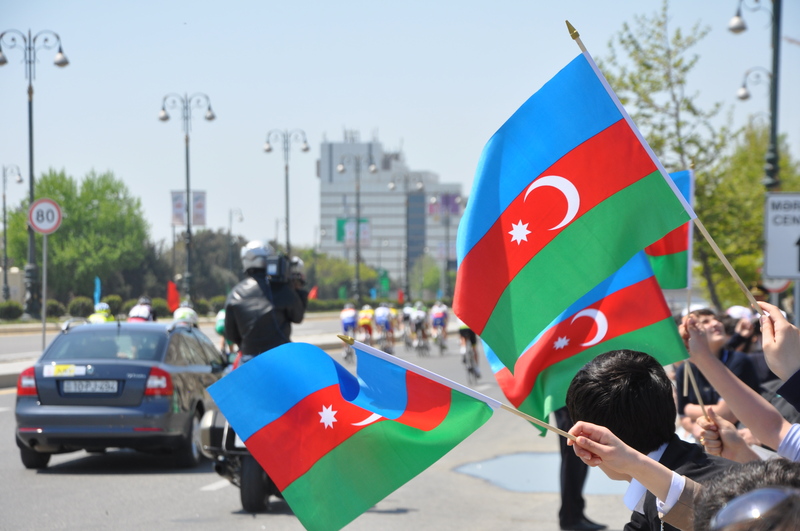 Diaspora organizations support the festivities to largely enforce the idea of Azerbaijanism. Gaining more power by years, the Diaspora has turned into a powerful economic, cultural, and intellectual force, becoming even more active in the political life of the countries where they live. Azerbaijani communities and societies in the countries of the Commonwealth of Independent States, as well as Europe and America have become more active over the past years. More than 30 million of Azerbaijani are living in Iran. The number is several times higher than the number of Azerbaijani citizens, while the rest are residing in Turkey, Germany, France, UK, the United States, as well as the Middle East countries. The biggest Azerbaijani Diaspora, numbering 1.5 to 2 million people are living in Russia. Back in 1989, December 31, the residents of Nakhchivan Autonomous Republic destroyed the Soviet-Iranian fences and for the first time over several decades could join even for a moment with their compatriots, living in the territory of Iran. The first ever World Congress of Azerbaijanis opened in Istanbul on the same day. These two events served as the basis of December 31 holiday - the World Azerbaijanis Solidarity Day. The World Azerbaijanis Solidarity Day assumed ever greater meaning and significance on the threshold of the 21st century. The major successes achieved in all areas of state building in our country since independence, open up ample opportunities for Azerbaijan to assume an honorable position within the world community and at the same time allow the world Azerbaijanis to exercise their national and international rights. Along with the active participation in economic, public and political life of countries in which they live, the Diaspora have received the broad options to represent the culture, wealth, language, history and traditions of Azerbaijani nation. It is the firm belief of every Azerbaijani that by doing his or her utmost and sparing no effort through consolidation of activities they will develop and prosper in the future to come. Yes, there is a word for “Citizen” [Vetendash – veten means native land and dash means stone] in the Azerbaijan language. In English it is citizen, in French it is citoyen, in German bürger etc. However, none of the world’s languages has a word like VETENDASH meaning stone of the native land.